Born Gandhi Djuna, this Congolese-French hip-hop artist became known for his work with the group Sexion d'Assaut and also released solo work, including a 2013 album titled Subliminal. His charting singles include "Bella" and "Zombie." Though born in Zaire (the present-day Democratic Republic of the Congo), he grew up in Paris, France, and began his career as a rapper while studying graphic art at a French university. He founded a music label called Monstre Marin Corporation (an affiliate of the French division of Universal Music). His early marriage resulted in four children. 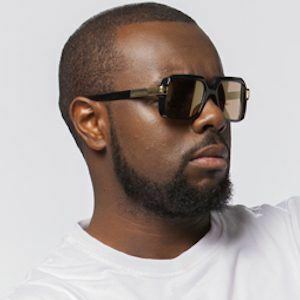 His three brothers, Dadju, Bedjik, and Xgangs, also had careers as rappers, and his father, Djuna Djanana, was a prominent Congolese singer. He and Lefa have performed together as members of Sexion D'Assaut.